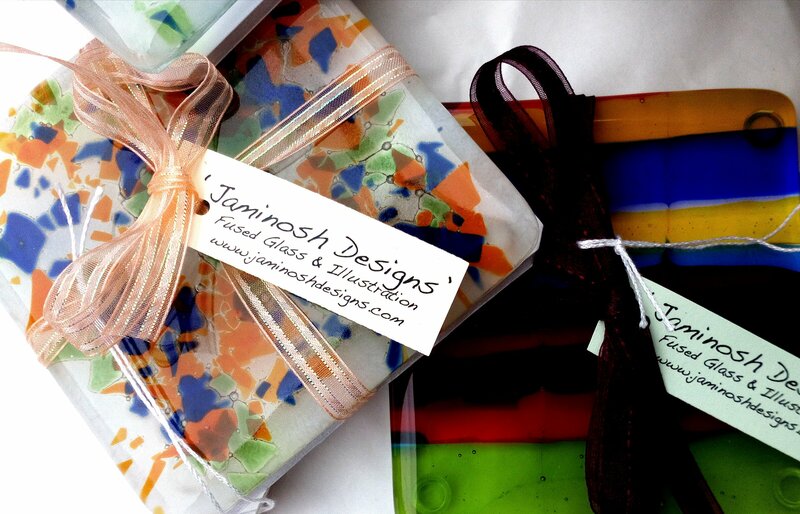 These beautiful fused glass and dichroic (glittery, reflective glass) Xmas decorations are now hung on silk ribbon and ready to sell!! I never get tired of fusing these glass birds that I quite fondly refer to as ‘fat birds’ ☺ I know probably not very pc but then life is too short to get hung up over that!! This little flock are off to two events tomorrow, both helping to raise awareness and funds for different causes…Blind Veterans UK are having a garden party in Llandudno. 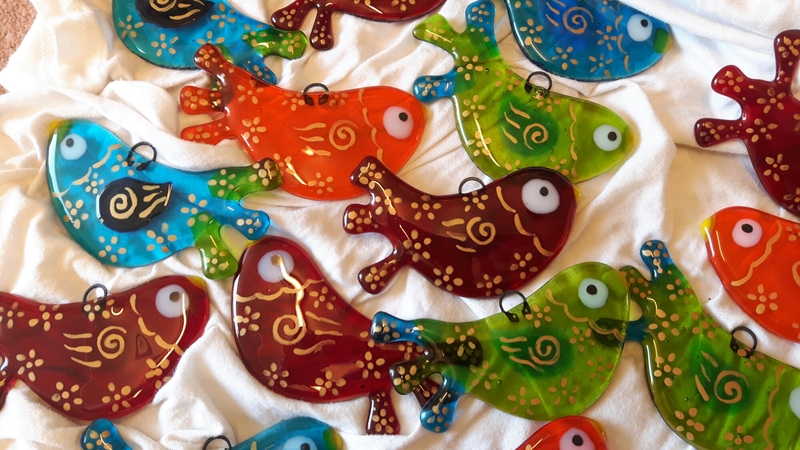 ..and the other half of my little flock of glass will be at Stamford Gate Hotel in Holywell where the Vintage and Artisan Fair rill be held. The money raised at this event will go towards the Lung Foundation. On my MA course this week we had a session with a tutor who is part Polish, and who is known for her wealth of information with regards to being creative! She talked to us about how a lot of the Polish crafts used recyclable materials and were low cost, and at the end of our lecture on ‘Book binding’ she showed us some simple ways to make a christmas tree out of unwanted books. 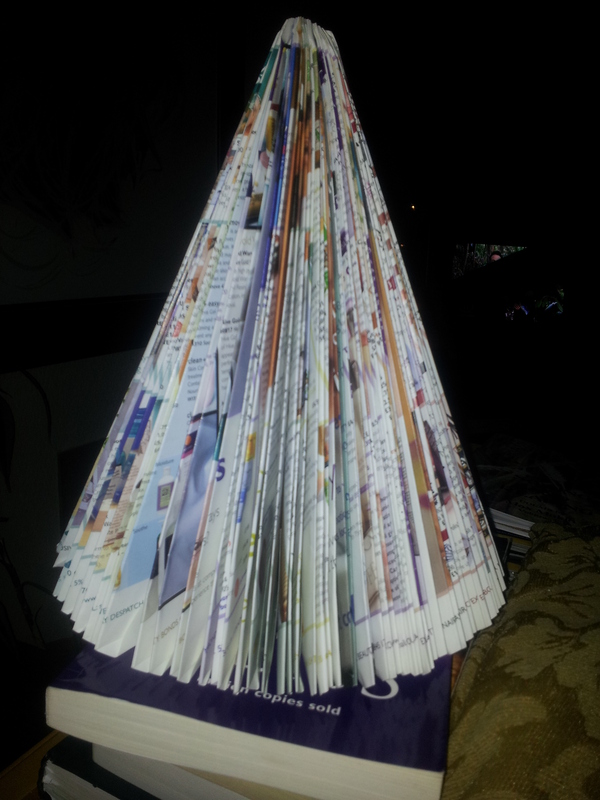 My first attempt at making a Christmas tree out of an unwanted magazine! Whilst doing my part time job this week (supporting and working with clubs for children) i realised that there was a need to activities for the older children in the clubs (8 – 11) and that this would be ideal. 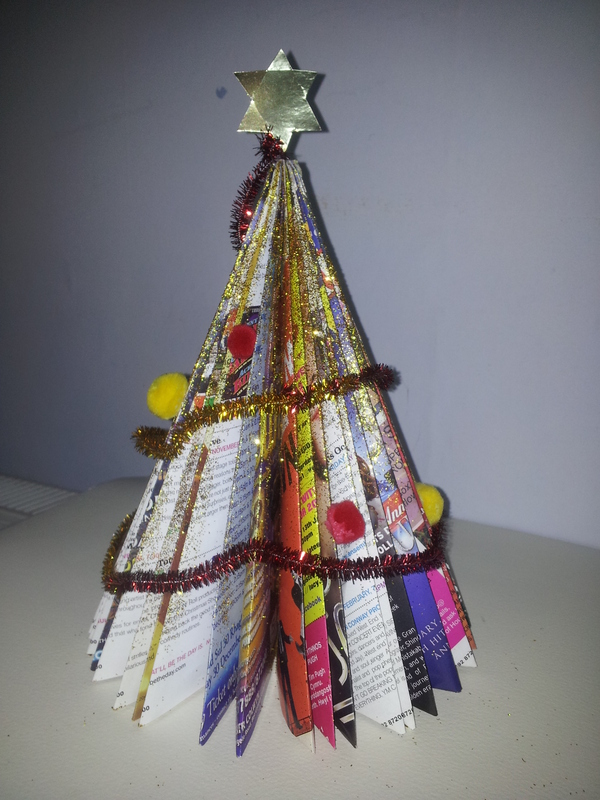 But to make it more Christmassy and to also make it a little less challenging i decided to use a magazine that had a lot less pages (so that they don’t lose interest half way through) and also to adorn the tree with some decorations, to make it look even more Christmassy! The beauty of these crafts is that they are low cost, and they also teach children to not waste materials and the benefits of recycling. If you wanted you could just fold the tree and use nothing but your hands – but if you do want to make it a little bit special there are a few low cost materials you can use (see below). 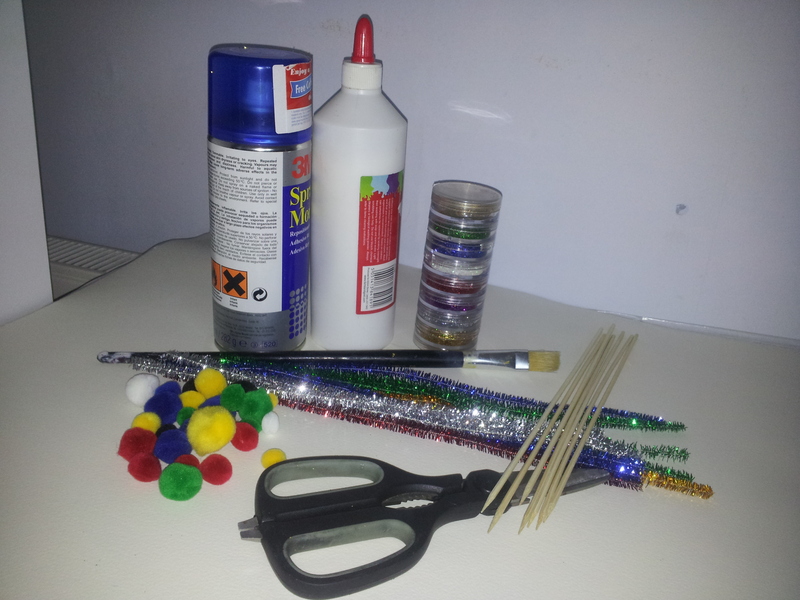 Have a go…..and if you want to take it even further you can give them a light spray with a metallic spray (use a face mask) and whilst wet, throw glitter onto it…lovely! !